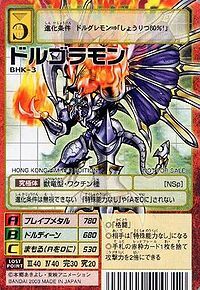 DORUgoramon is an imaginary Digimon born from the "Daydream of a Digicore". 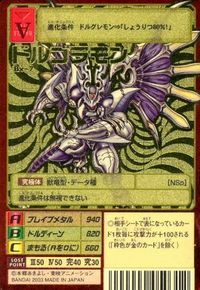 It is a form that had even the Digicore's own creativity released through the Interface on its brow, and evolved. 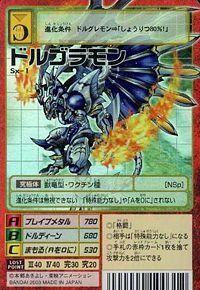 Possibly because it naturally possessed the potent life-force data of the legendary beast, the "Dragon", within its Digicore, the form created by its Digicore is a mighty avatar of "Destruction", and is an incarnation of the "Ultimate Enemy". 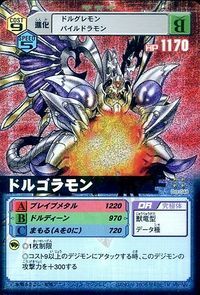 Its Special Moves are putting its body and soul into a terrifying assault (Brave Metal), and releasing a destructive shock wave (DORU Din). 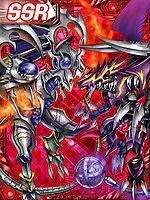 Has the Digicore's own creativity been released through the Interface on its brow?! 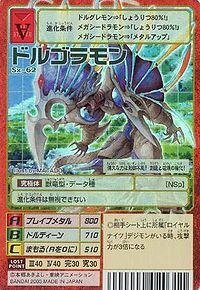 DORUgoramon is an imaginary Digimon born from the "Daydream of a Digicore". 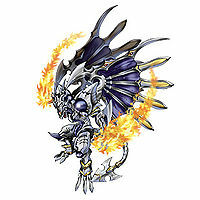 Its form its a mighty avatar of "Destruction", and is also the incarnation of the "Ultimate Enemy". It is not someone that an ordinary tamer can handle. 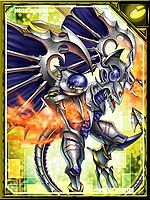 Title: 「究極の敵」 — "Ultimate Enemy"
An acronym for Digimon OR Unknown-Monsters. Likely from Ghora which is Hindi for "terror". 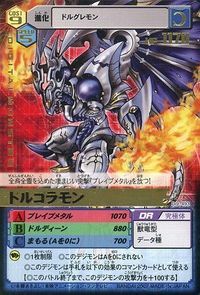 Brave Metal  ブレイブメタル Bureibu Metaru Supreme Courage/Brave Metal Puts its body and soul into a terrifying assault on the enemy consisting of both melee attacks and a blast of flame. 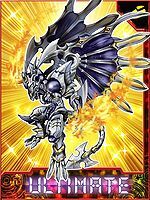 DORU Din  ドルディーン Doru Dīn Doru Djinn Releases a fiery shockwave from its hands. 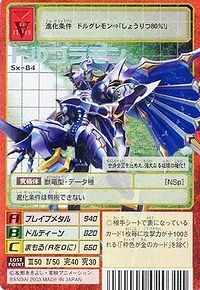 It is one of two Ultimate forms for DORUmon and is Doumoto Kouta's partner, appearing only in the booklets of the manga. 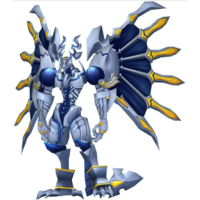 Evolves from DORUguremon if above level 49. 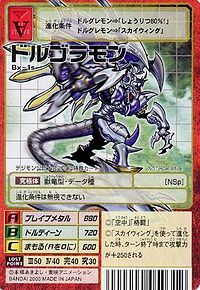 DORUgoramon is obtainable as a mercenary digimon if raised from a regular DORUmon. DORUgoramon is available as a Digimon Medal. 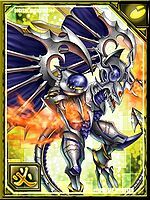 Evolves from Death-X-DORUguremon (1.5), DORUguremon, or Grademon (1.0). 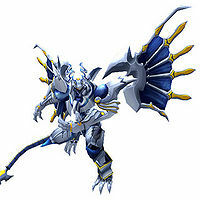 Can also be obtained by Jogressing DORUguremon and Okuwamon X-Antibody. Its immense power is impossible to control! 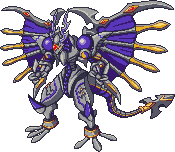 An incarnate of creation and destruction! 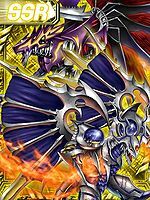 This great incarnate of destruction has poured its body and soul into its might! 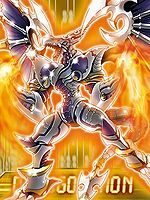 It puts its entire body and soul into unleashing 'Brave Metal', a terrifying assault! This page was last modified on 18 April 2019, at 11:01.